I inked it up with Distress Stains (picked raspberry, barn door, spiced marmelade, squeezed lemonade, twisted citron, broken china, peacock feathers - the purple is a mixture of peacock feathers and picked raspberry, because I had no purple Distress Stain dauber). I die cut the sentiment (My Favorite Things) from black cardstock. A few enamel dot bring the card together. This is super simple and a pretty clean card, but with all it's brightness, I don't think it needed anything else. This "get well" card was created with a cute image from purple Onion Designs (Stacey Yacula, to be exact) and some Create A Smile paper. Thanks for latik a look and leaving some love - I have the best readers of all times! All these three are gorgeous! 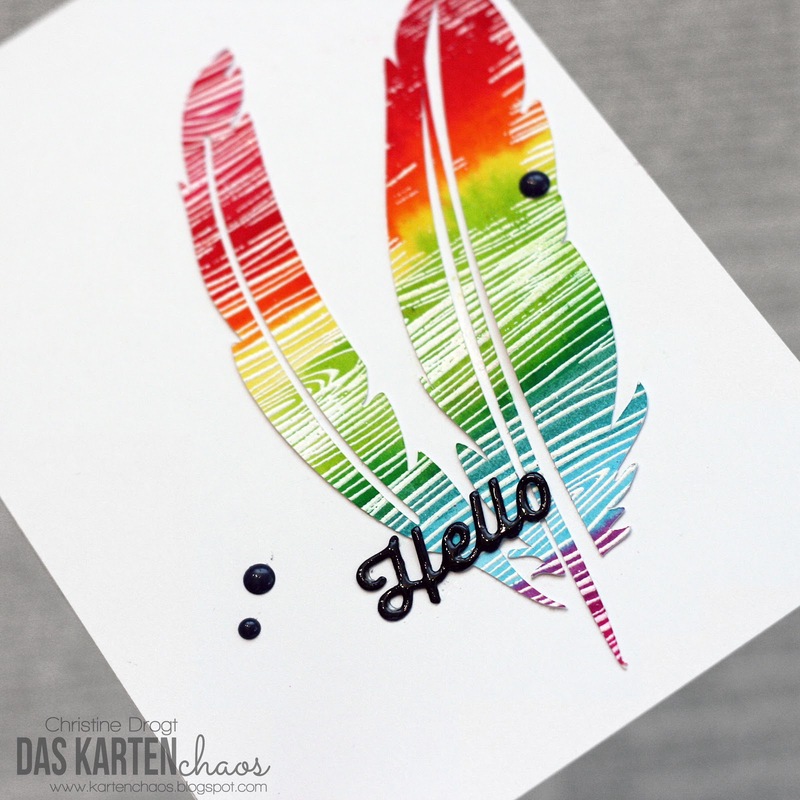 Love the rainbow and wood-grain. GREAT idea to put them together! 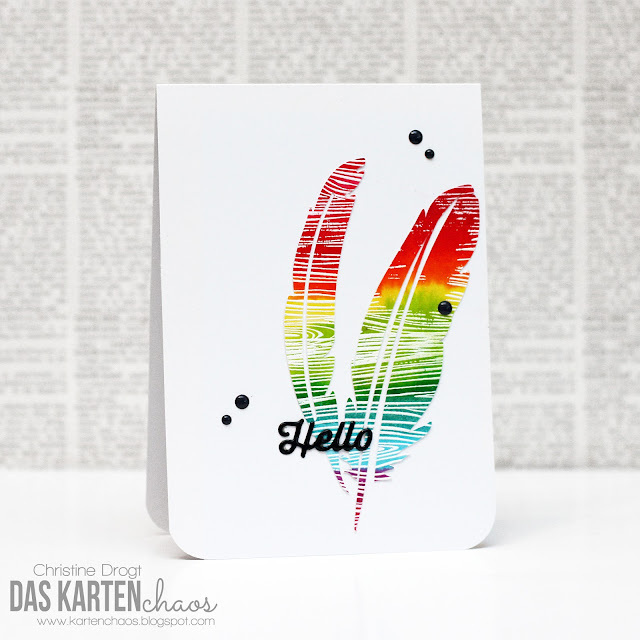 Danke für deine Teilnahme bei Simon Says Stamp Wednesday “Anything Gloes“Challenge! I do love the embellishments on your 2nd card! Ganz Toll! So glad that you join the fun over Virginia’s View “All Things Embellished” Challenge! ich werde eine Bday Card zu dir schicken may I? These are just adorable!!! I love the paper clips on the get well card! Such perfect layering and coloring!!! Beautiful! Two really adorable cards, Christine! Beautiful coloring and your designs are amazing...as always!!! Thanks so much for playing along with us this week at Addicted to CAS! ich kipp um.. alles ist soo wunderschön! Du explodierst gerade und es schießen nur so geile Karten aus dir heraus!!! 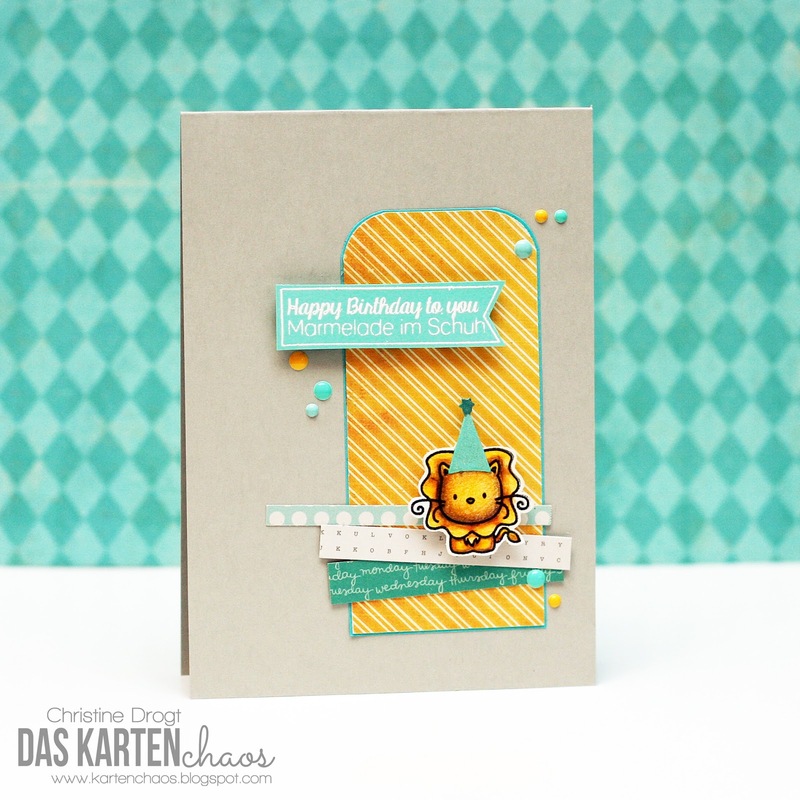 Love your cute little lion for the birthday card! 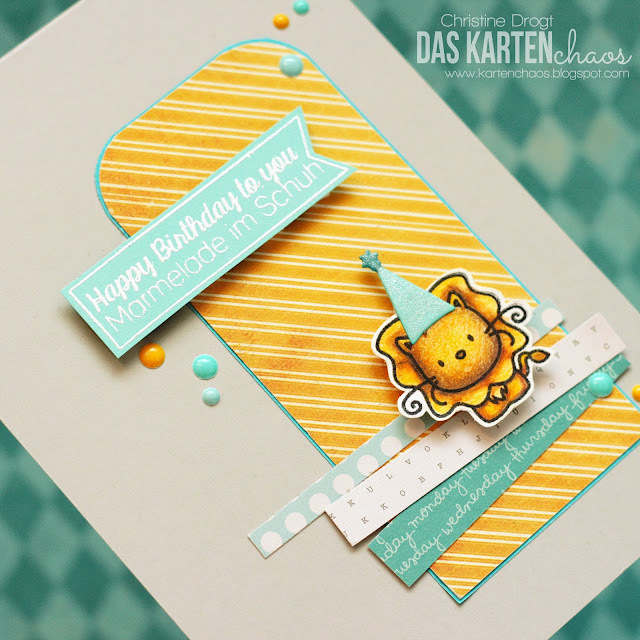 thank you for sharing on Seize the Birthday! Amazing cards. The lion looks so adorable and cute.. Thanks for joining us at ATCAS!! Wowzers! Love the colors,design and layout :) Thank you for sharing with ATCAS!